Zatanna is joining the Justice League! No, wait, I mean the other Justice League. The character, who has been a member of Justice League Dark since the New 52 reboot, will apparently join up with the DC Universe's top superhero team with #22 in July, and series writer and DC Comics Chief Creative Officer Geoff Johns unveiled her new look in the wee hours of the morning. 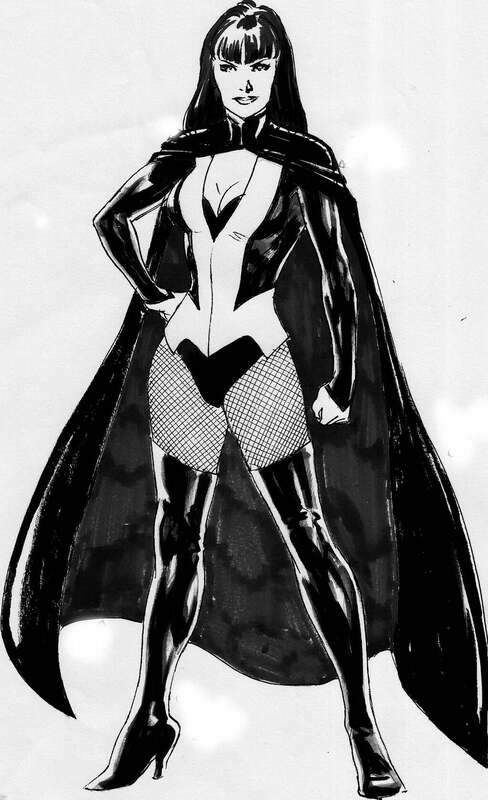 "The worldwide debut of Zatanna's new uniform! She'll be jumping into Justice League #22 -- you'll hear details soon!" Tweeted Johns, along with a copy of the picture at right. It's not immediately clear who drew the image, with a number of fans on Twitter noting that it doesn't necessarily look like the work of regular Justice League artist Ivan Reis. The costume, which blends elements of her "magician" and "superhero" costumes, seems designed to differentiate her work on the Dark side of the DC Universe from the more mainstream superheroics of the Justice League side. And, yes--she gets the fishnet stockings back.